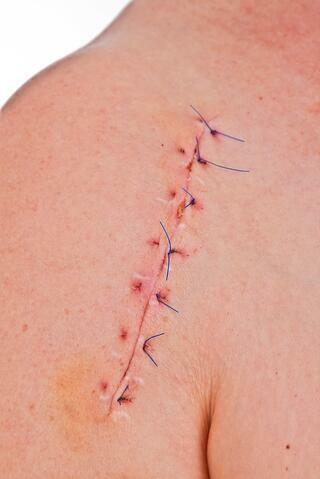 All types of people can incur shoulder injuries that require surgery. Athletes who play sports like baseball, softball, and football are particularly susceptible to injuries like a torn rotator cuff. A traumatic fall on the shoulder or dislocation of the joint can also result in a tear that requires surgery or repair. Regardless of the cause of the injury, many people are concerned about shoulder surgery recovery time because it can have such a significant impact on daily life. Most people don’t think about just how important the shoulder joint is until its functionality is limited. Because it is a ball and socket joint, the shoulder can move in multiple directions, and impeding range of motion in even just one direction can make it challenging to perform even the simplest tasks. Understanding the healing process and knowing what you can do to help accelerate it will allow you to reduce shoulder surgery recovery time so you can get back on the field or back to normal activities more quickly. Every patient’s injuries are different. One person might experience a full tear in a ligament, while another has just a partial tear. People also have different recovery rates depending on their overall health before the injury and the steps they take during the healing process. Despite these differences, there is a basic timeline you can expect to follow during shoulder surgery recovery. Week 1 - The surgical site will be covered in a dressing and you will wear a sling that prevents you from moving the shoulder joint. During this stage, it is critical to immobilize the joint so that the tissue repairs can begin to heal. The dressing and sutures will be removed after about a week. Weeks 2-6 - Physical therapy typically begins about a week after surgery to help you regain range of motion, build strength in the muscles surrounding the joint, and increase flexibility. During this time you will continue to wear a sling to prevent the shoulder joint from performing unwanted movements. Week 7 - The sling is usually removed around this time and you are allowed to return to most daily activities. Because you will not be fully healed at this point and will be experiencing muscle weakness, athletic activity is not yet recommended. Physical therapy continues for another few months to keep building strength and enhancing range of motion. Week 12 - By this point in the recovery process you should have regained most of the strength in your shoulder and arm, so most normal activities can be performed easily. Athletic activity is still not recommended at this point as the tissues continue to heal. Most patients experience a full recovery after about four to six months and can then return to athletic activity, if desired. Of course, it is always important to work closely with your doctor or physical therapist to determine when it is safe to do certain activities without the risk of re-injury. In addition to reducing pain and swelling without medication, cold therapy and compression can also speed up the recovery process by slowing down cellular metabolism and pumping fresh blood and nutrients to the injured area. The most convenient way to deliver therapeutic cold and active compression at the same time is with a cryotherapy machine. Contact Game Ready today to find out how you can use one of these devices to reduce your shoulder surgery recovery time.